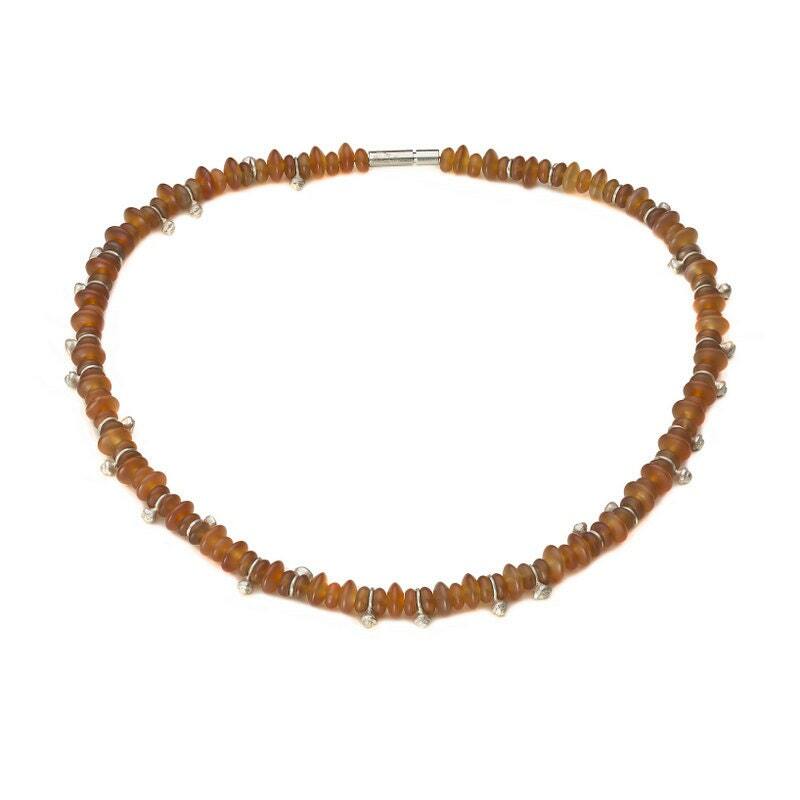 Necklace, 925/000 silver, carnelian, Orange. 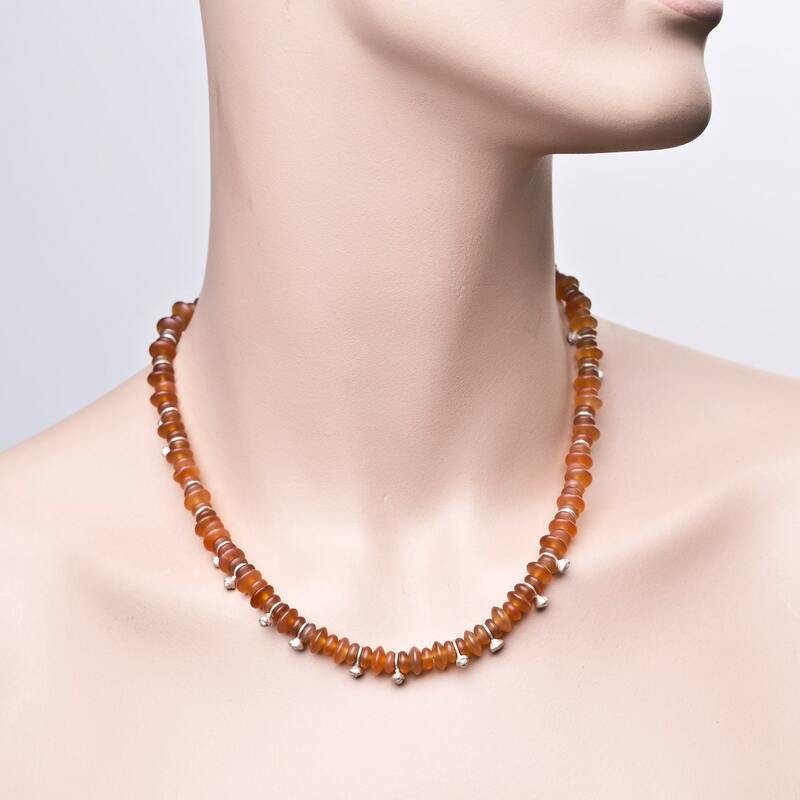 Distinctive necklace with orange carnelian and silver buds. The surfaces are matted, which gives the chain a special appeal. The chain has a length of 45 cm. 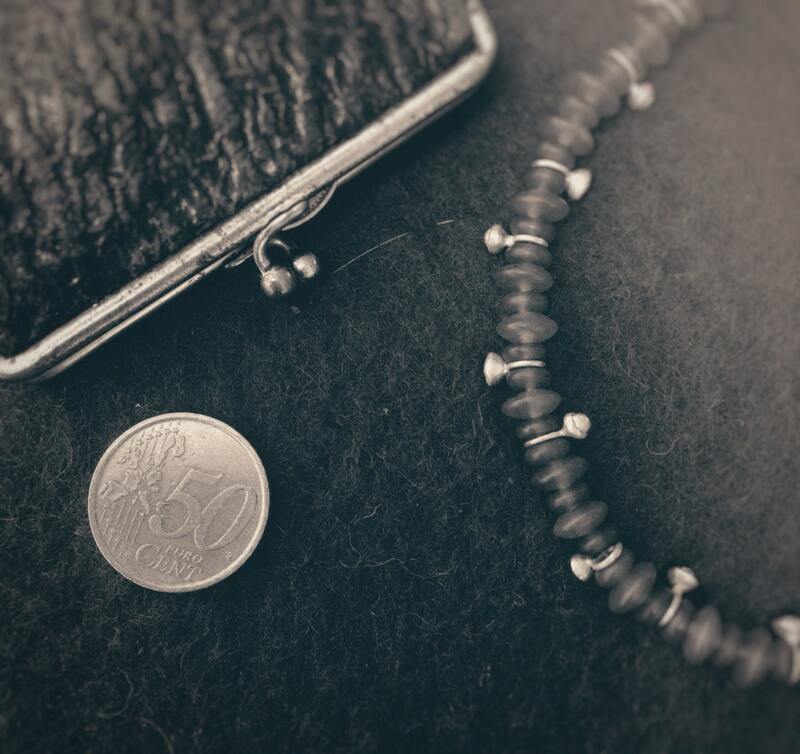 The stones have a maximum diameter of 5 mm.